Our financial situation will be changing in April - many things "up in the air" - and there is no way for me to predict how things will go. (None of us really can with absolute certainty regarding the future, can we?) I cannot panic. I search for work (meaning = get paid with money, not product) I can do through social media and do my best to financially contribute to the household. Taking a break from searching for paying work through social media I connected with a few of my blog buddies that make me smile. Also, checked out Pinterest under the "humor" category, always good for a laugh! Stuck to my plan of doing some kind of exercise everyday and put forth strong effort with a few fitness instructors through OnDemand. Oh my gosh I'm so out of shape!! But the only way to remedy that is to get moving again, right? Through these steps I've held my sadness and anxiety at bay. Some days I have way too much of these emotions and I hate it. 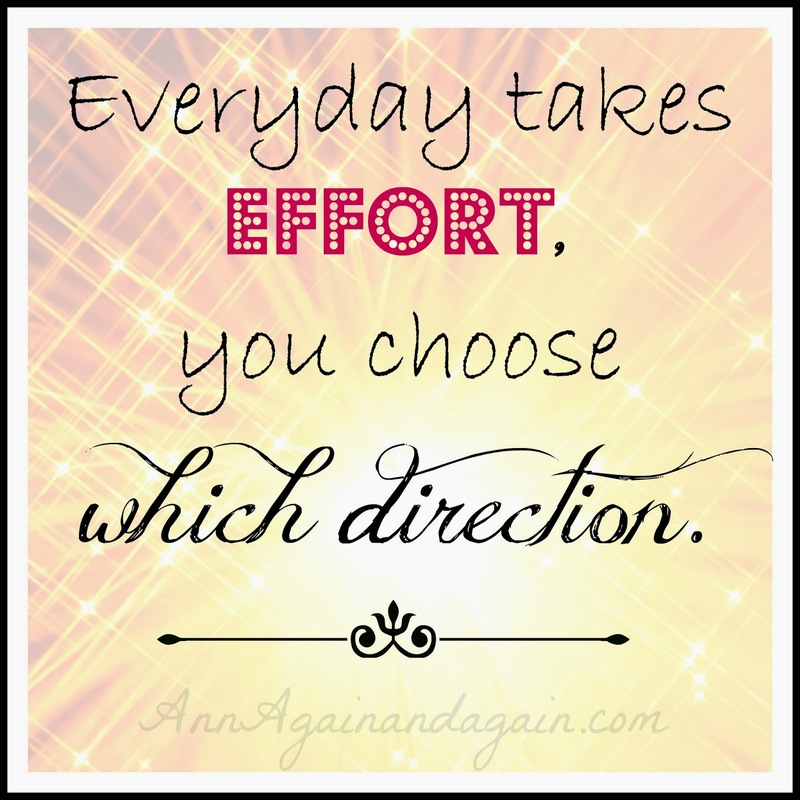 Every day takes effort, you choose which direction. Every day there is a way to find a bit of joy, something to make you laugh, a way to connect to the positive that's around us. Have you been feeling overwhelmed? Is low self-esteem, or fear, creeping in? What do you do to stay positive and/or productive?